News : Lectures, book presentation by Andrei Smirnov from the Theremin Center at Moscow State Conservatory 15-19.04. Lectures, book presentation by Andrei Smirnov from the Theremin Center at Moscow State Conservatory 15-19.04. Andrey Smirnov from the Theremin Center at Moscow State Conservatory will be a visiting teacher of the Centre for Music & Technology at the Sibelius Academy, University of the Arts Helsinki, from Monday 15.4. to Friday 19.5. At this occasion Andrey Smirnov presents his new book SOUND in Z. 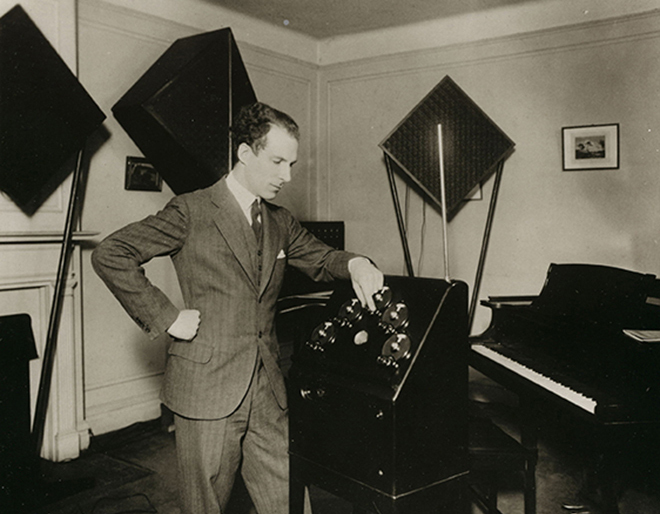 Experiments in Sound and Electronic Music in Early 20th Century Russia, on Tuesday April 16th, 5 pm at the Auditorium of the Music Center (Musiikkitalo) in Helsinki, Mannerheimintie 13 a. See event page. Andrey Smirnov (1956) is an interdisciplinary artist, independent curator, composer, author, educator, researcher and developer of interactive computer music techniques. He is a founding director and the senior lecturer of the Theremin Center at Moscow State Conservatory and the lecturer at the Rodchenko School of Photography and Multimedia where he teaches courses on the basics of Electroacoustic Music, recent Computer Music technologies and Physical Computing. Since 1976 he is conducting research and developments in electronic music techniques, gestural interfaces, hardware and software sensor technology with particular interest in design of the HCI systems with complex relationships between the performer's actions and the interpretation of this information in non-linear methods using custom software. He has conducted numerous workshops and master classes, curated a number of exhibitions in Russia, Europe and the U.S., attended various festivals and conferences. He is collecting and keeping unique archives on the history of Music Technology and Sound Art in the early 20-th century Russia as well as original historical electronic musical instruments, combining deep research into the history of music technology with extensive experience of computer assisted composition and interactive performance.